Wow! What an emotional roller coaster Call Me Star Girl is. It’s so intense and poignant. Yes, it is a psychological thriller but it’s more than that. This is a novel that has real emotional depth. It is raw, it is tense, it is brilliant. 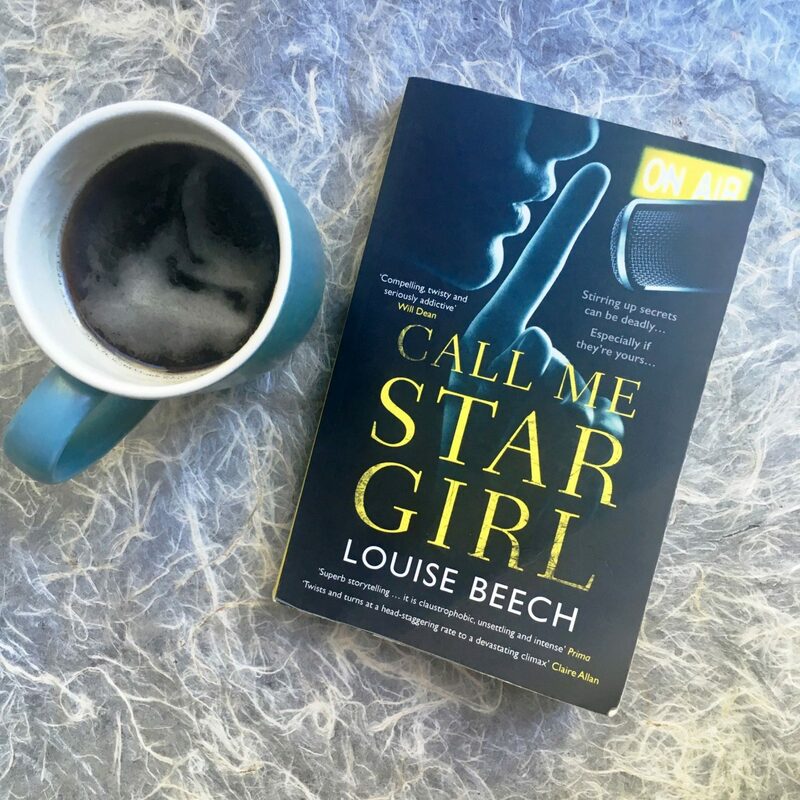 Call Me Star Girl is the first ever psychological thriller from renowned author Louise Beech. It is Stella’s story and how her story is linked with the recent brutal murder of heavily pregnant Victoria Valbon. Victoria’s killer still hasn’t been caught. Stella presents a late night radio show. Tonight is her last ever show and she wants to stir things up; she wants her listeners to tell her their deepest secrets. In return, Stella will share her secrets with her audience; secrets involving her relationship with her boyfriend who likes to play weird sexual games, secrets about her mother who abandoned her as a child and secrets about the father she never knew. The one secret Stella is desperate to know is the secret the mysterious caller wants to share, the secret about Victoria’s killer. This caller says he knows who did it, and he has proof. The taut and menacing atmosphere that Louise Beech sets in the novel is formidable and so vivid. I was petrified as I was easily able to visualise being at the radio station late at night on my own with a mad killer out there on the loose. And then there’s Tom, Stella’s boyfriend. The weird dynamics in their relationship really disturbed me. But Stella’s story is full of twists; twists that I could never have predicted, twists that are so raw and emotional that left me shocked and heartbroken. Especially the true reason as to why Stella was abandoned by her mother. 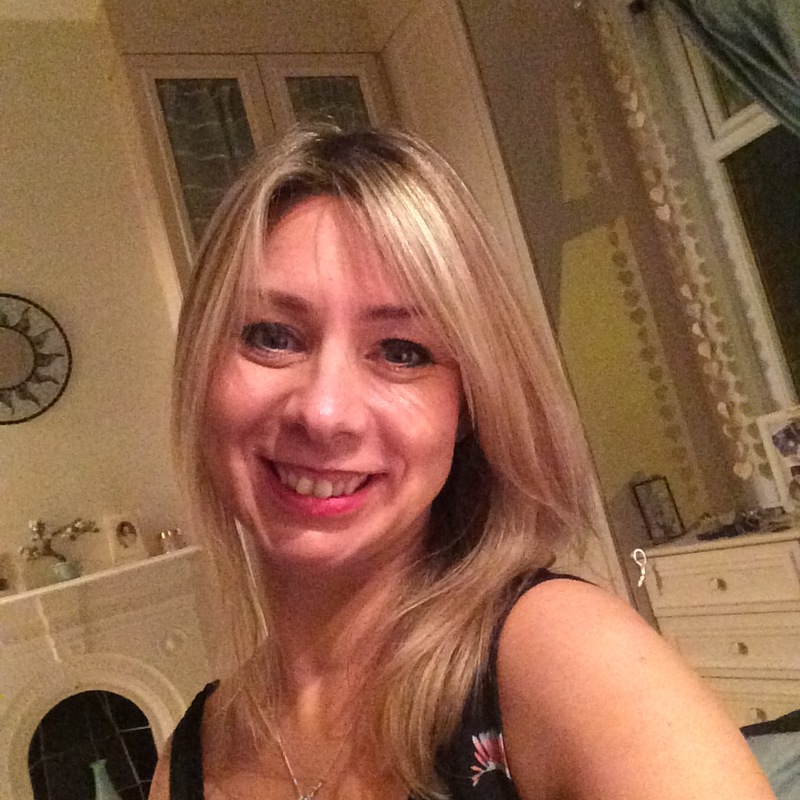 Louise Beech skillfully uses the songs Stella plays on her radio show to help tell the story. I think this is truly genius. The playlist including Father Figure by George Michael and The Ballad of Lucy Jordan by Marianne Faithful (one of my favourite songs of all time with such poignant lyrics) brilliantly contributes to the raw emotional tension building throughout the narrative. As I’m sure you can guess from what I’ve written above, I loved Call Me Star Girl. 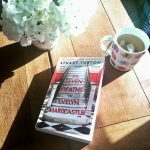 And I’m not the only one – just look at the reviews from my fellow book bloggers also on the blog tour to see the reaction this novel has caused. Believe me, Call Me Star Girl is a book you need to read. And it’s out very soon as it will be published on 18th April 2019 – so go, go, go! 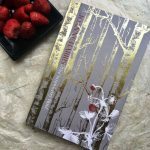 Order your copy now. 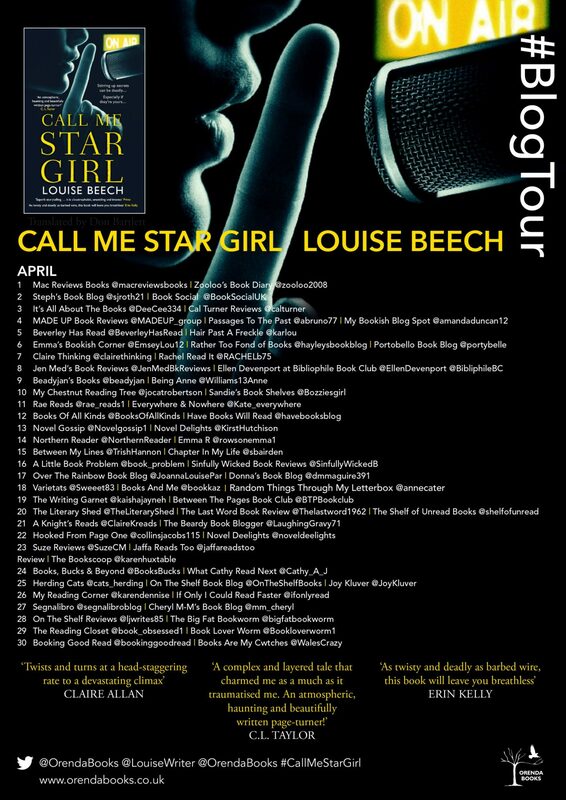 Thank you to Anne Cater from Random Things Tours for inviting me to take part in the blog tour of Call Me Star Girl, it’s a real privilege to help publisise this book. Thank you also to Karen Sullivan from Orenda Books for publishing it and organsing the Orenda Roadshow, where I got to meet both Karen and Louise, who were both lovely and so funny. 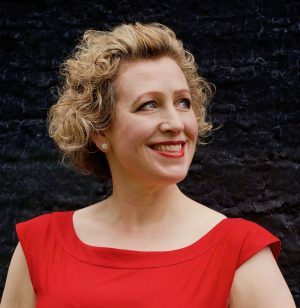 And last but not least, a massive thank you to Louise Beech for creating Stella’s emotive story – a story of love, loss and fear. A story that needs to be read.